The original barn was probably built in the late 1800s, now a newer one sits on the same foundation. 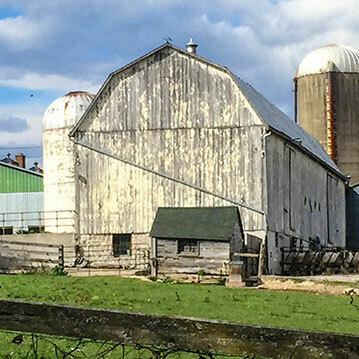 The previous owner had prize shorthorns, housed in a barn relocated from the Perrytown church property, that could sell for over $100,000. 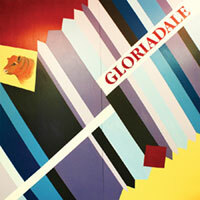 On the south side of the big barn was a huge sign that said “GLORIADALE” named after Mr. Philps’ wife Gloria. It was a guide mark for travelers. Today a new “sign” board shows the pattern depicting the rail fences that would have lined the road up the hill under blue and cloudy skies.